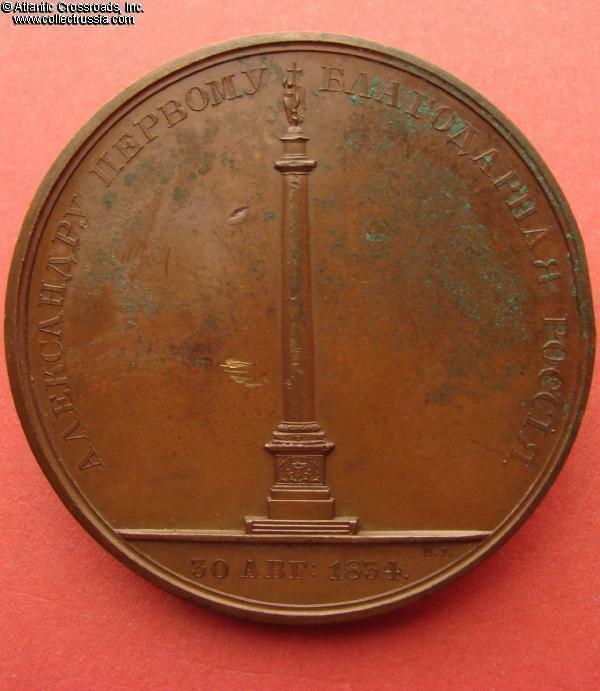 "On the Opening the of Alexander Column in St.
"On the Opening the of Alexander Column in St. Petersburg, 1834," bronze commemorative table medal. 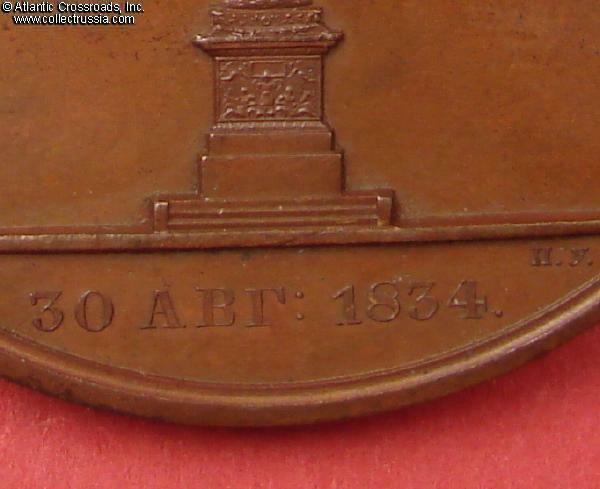 50.6 mm wide; weighs 60.5.0 grams. Engraved by P. Utkin. 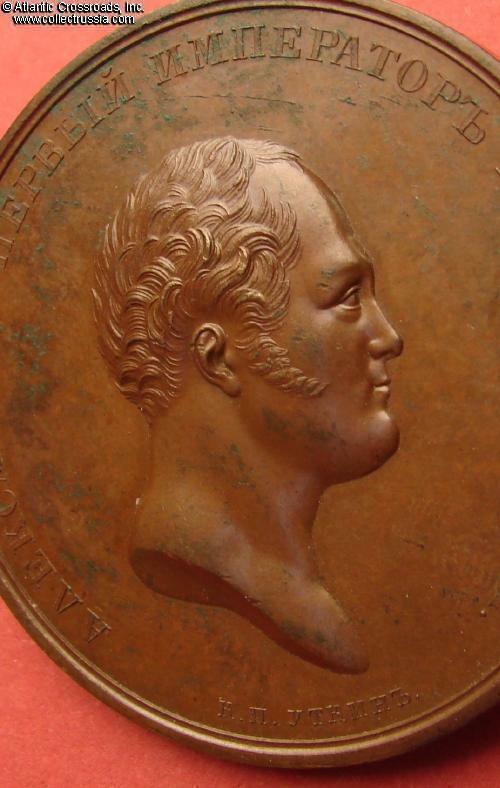 Obverse shows portrait of Alexander I with a legend around the edge. 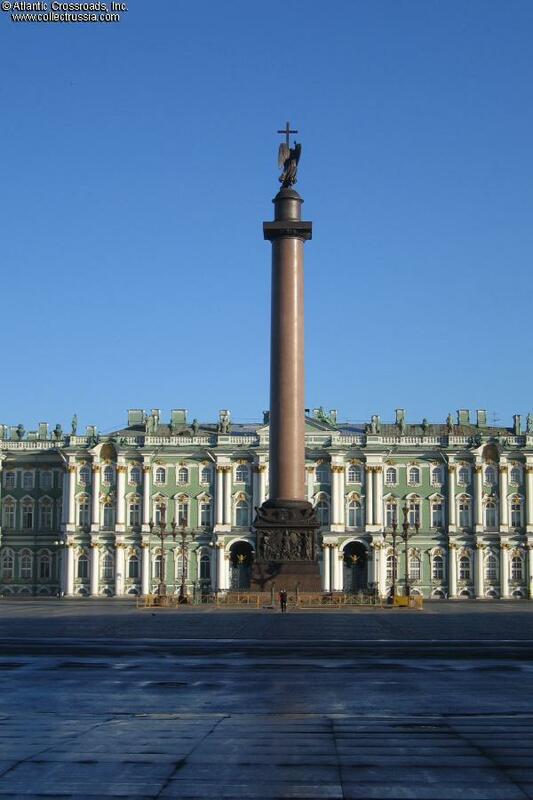 Reverse shows a view of the Alexander Column in the square in front of the Hermitage, legend around: "Greatful Russia to Alexander the First". Glossy brown finish. Very fine condition. 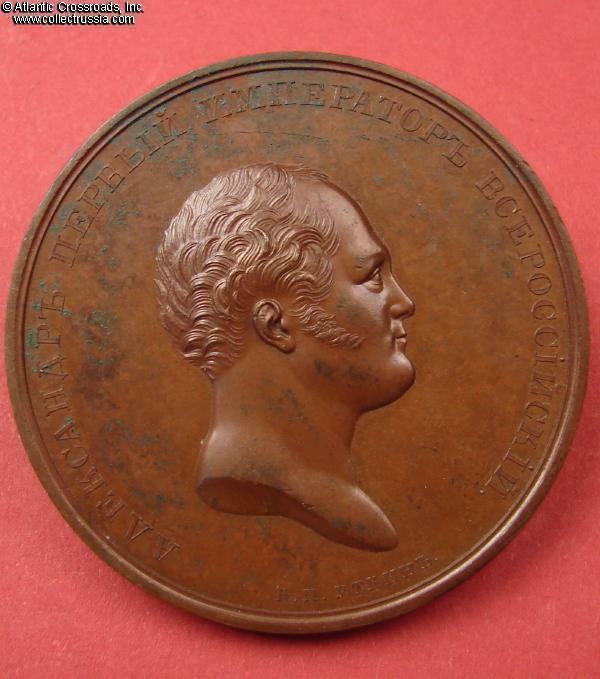 Green deposits on both the front and the back, two small scratches in the field above Alexander's head. The erection of this red granite column was regarded at the time as an incredible technical achievement and it is still the tallest monument of its type in the world!